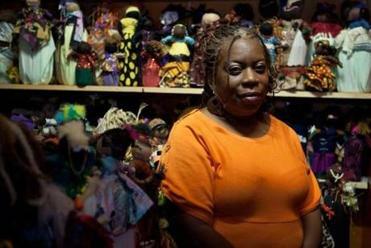 Doll museum depicts the African-American experience. A wishbone doll is part of the museum’s collection. History’s “ugly truths” are here inside an unlocked cabinet just inside the entrance to the new National Black Doll Museum in Mansfield. 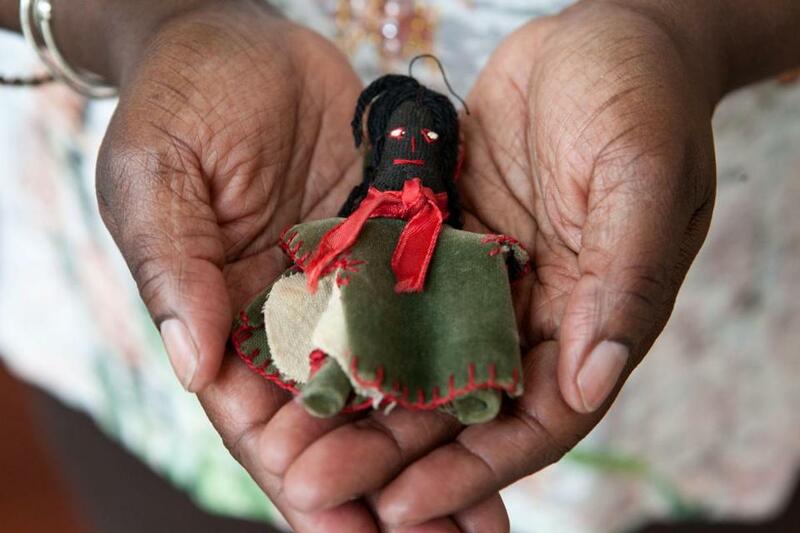 Visitors can reach into the cabinet and touch figures of mammy dolls and dolls made by slaves from bells, thimbles, and animal wishbones; or a dark-faced pickaninny doll, whose hair is divided into a zillion little braids, each tied with a red bow. Then there are the golliwogs — minstrel-type rag dolls popularized in the 19th century whose jet-colored skin, white-rimmed eyes, and red clown lips sparked heated debates about how toy companies and popular media were depicting African-Americans. The cabinet is titled the Ugly Truth. “People get really upset about these,’’ says Debra Britt, the museum’s founder, pausing at the display inside the Gallery of Self Discovery one Saturday afternoon. “They don’t want to see it. They don’t want to talk about it. But I like it because it is history.” It was her own painful past and quest for self-acceptance that led Britt to found the museum. As a child with dark skin in Dorchester in the 1960s, she felt her world shatter, Britt recalls, when one of her teachers told her she wasn’t pretty and likened her to a monkey. By the time she grew up, married, had her own children, and moved from Dorchester to Hyde Park, Britt had about 200 dolls. When she moved to Mansfield in the 1990s, she had amassed thousands. Today, her collection exceeds 6,200. Many belong to her younger sisters, Laverne Cotton, Felicia Walker, Kareema Thomas, and Tamara Mattison. Britt and her sisters began taking their dolls on the road — to schools, libraries, and shelters — and holding doll-making workshops. Last July, they opened the museum, on North Main Street. “I like it because it is history,” says Debra Britt, the museum’s founder. Arranged in seven galleries telling stories of suffering, bravery, sacrifice, and triumph, the dolls date as far back as 1863. Visitors take a journey through major African-American experiences — from Africa to the slave trade to the Civil War to the Civil Rights Movement. One room, filled with 720 dolls made from empty water bottles and scraps, suggests the dark, claustrophobic quarters of a slave ship. Meghan E. Irons is a Globe reporter. She can be reached at mirons@globe.com. Follow her on Twitter @meghanirons.